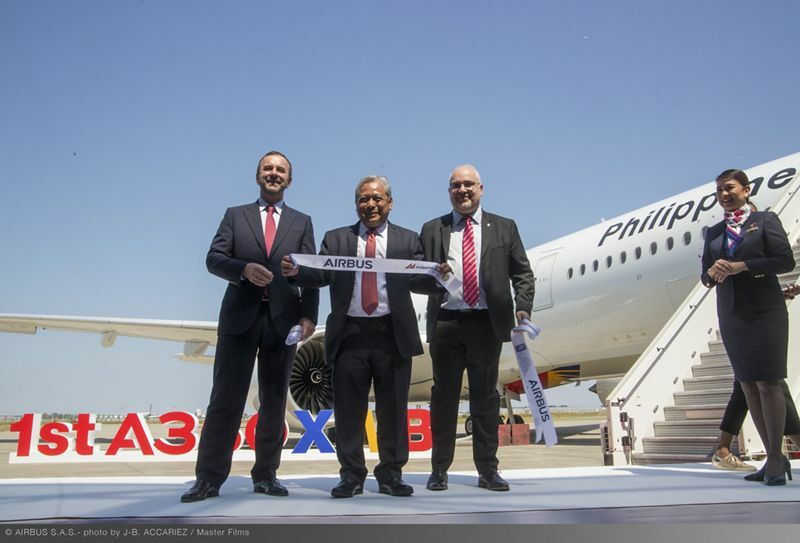 During a special ceremony in Toulouse, France, Jaime J. Bautista, President & COO of Philippine Airlines cut the ribbon and took delivery of the airlines first A350 XWB. 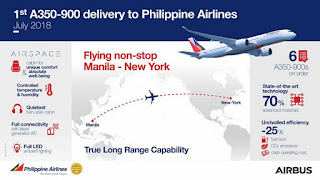 Philippine Airlines has ordered six A350-900s, which it intends to use mainly on routes to North America and Europe and is the 19th airline to operate the world’s most modern and efficient long range airliner. 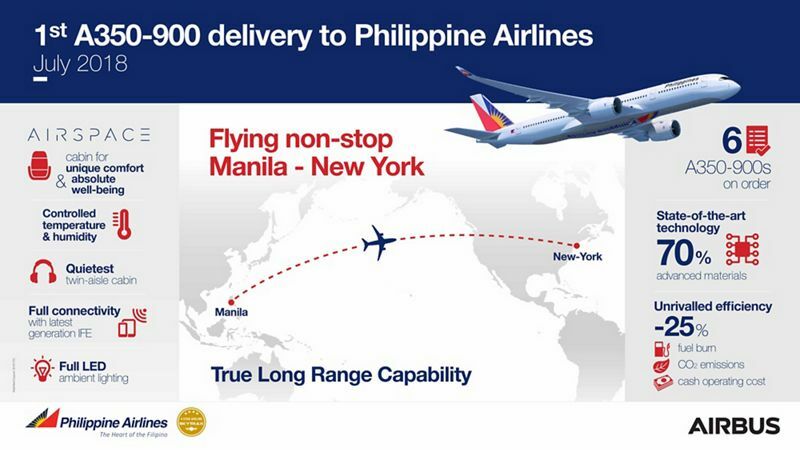 Currently, the longest route Philippine Airlines operates is Manila to New York, a distance of over 8,000 miles and takes around 17 hours and previously needed a technical stop in Vancouver, however, thanks to the A350, the carrier will now be able to operate the route with no stops! 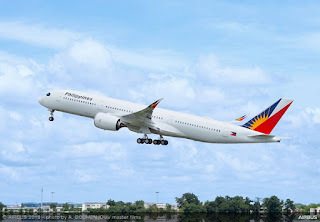 Philippine Airlines has decided to configure its A350-900s in a three-class arrangement, 30 seats that convert to fully flat beds in Business Class, 24 seats offering extra space in Premium Economy and 241 18-inch wide seats in the main economy cabin. One of the many features on the A350 is the Airspace by Airbus cabin, with more personal space and full connectivity throughout. 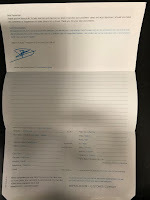 The cabin is the quietest of any twin aisle aircraft and features the latest mood lighting and air conditioning systems. Higher humidity levels and a lower cabin altitude all contribute to added well-being on board, especially for long range flights.